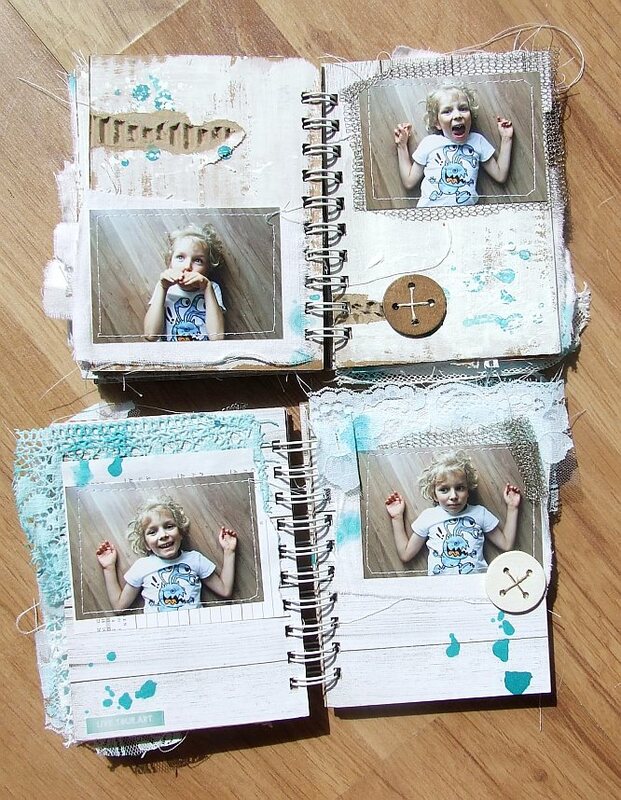 This time we are shining the spotlight on the winner from the 'Recipe' Challenge hosted by Jenny (Buttons)...The Our Creative Corner team are so happy to be welcoming Kasia from Papierowy Wymiar. I live in northern Poland, near the Baltic Sea. 2.) What do you enjoy most about crafts? I really enjoy creating albums and layouts ( my son is my greatest inspiration :)) I wanted to keep memories for my family and this is the reason why I started scrapbooking. Also, self-made gifts are the most precious. 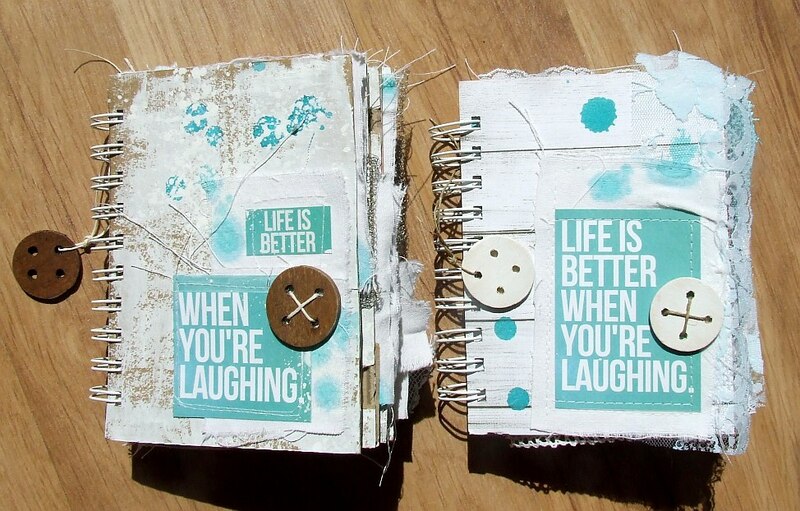 I love making (and receiving naturally ;)) the little self-made things. 3.) What is the one creative item you couldn't do without? It's cardboard :) I never throw cardboard boxes away so I always have basis for albums or others projects. In general, I like using recyclable materials in my creations, many items found around the home can be used for projects. 4.) Are you a day-time or night-time crafter? 5.) What is the most satisfying/exciting..... the designing or the end result? Hmmm... to be honest, I don't know ;) Generally, when I have an idea for some creation, I sit and make it. I don't like working on something for long (except crochet ;)). The most my projects were made in about few hours. The end result is of course important, however, the whole fun consisted in creating. I need to admit that I really love challenge. Why? I made my best project (i.e. those which I like most ;)) when I had to use enforced elements or colors in my creation. I love reading ... I can read all the time and everywhere. And I am old-fashioned about it, I don't like e-book reader. I really like the smell and feel of books ;) What else? I love surrounding with green. My husband always says that we live at the jungle (and the library ;)) but I think he overdoes ;) My first and biggest love was cacti and succulent plants and still is. I am collecting them. I also love some old stuff (read 'junks' ;)). My big love is old chairs. Unfortunately, our apartment is too small for many of them. 7.) Any inspirational words you can share with us? Please go along to Kasia's blog and say "Hello"....Take a look at how she made her 'Spotlight' album ....along with all her other brilliant creations - I am sure she would love to see you there! - Papierowy Wymiar. We all hope you will come back to see us on the 1st September when Anne will be presenting her challenge for all of you.... See you then! Hello all, Alison (butterfly) here with the projects from the rest of the Design Team to inspire you to play along with our Words, Words, Words challenge this month. We would love to see projects with words at the heart of them - whether that means your creation includes a quote, a sentiment, a song lyric, or some words from inside your own heart and mind; or perhaps the project includes text of some kind, typed or script, handwritten or printed, as a major element; or maybe you can find some other way to have words at the centre of your creation. 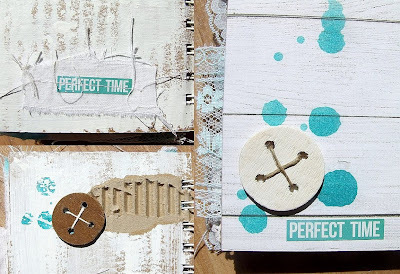 Since I said I was looking for Words to be at the centre of the projects, that's exactly what I've gone for - a simple tag putting one of my favourite sentiment stamps centre-stage! 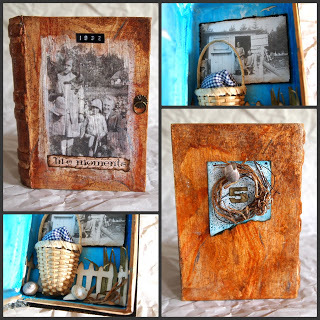 I was totally inspired by Margie's incredible altered book. This Elizabeth Bennet stamp has been in my stash for ages and when the Craft Stamper freebie this month was a mini version, I just had to use it along with a page from the beautiful novel, Pride and Prejudice. Details of the 'how to' can be found on my blog. I always feel that the message is the heart of the art and I really went for it here. I used this strong feminine quote from Audrey Hepburn (from the Artistic Outpost Quote and Quotables set). 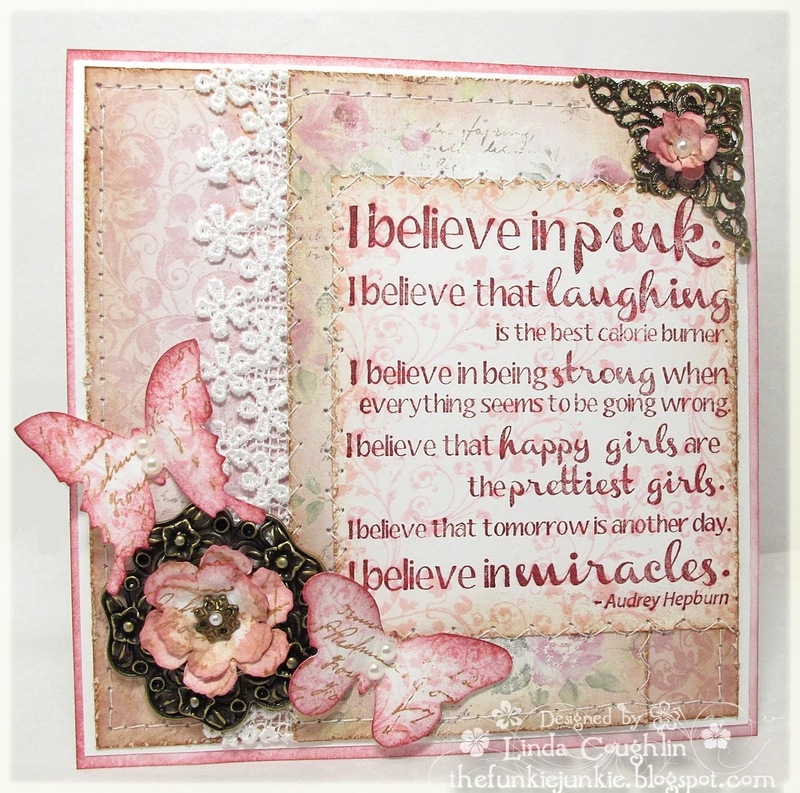 I had the perfect pink to accompany the quote with designer papers with my new Maja Design Sofiero collection and ended up with a card that's as sweet as sugar. Don't forget you have until the 28th August to enter, and you can link up and check out all the rules here. So come and play along with our Words, Words, Words challenge, and you could be our next Top Talent here at Our Creative Corner! Hello friends of Our Creative Corner. Thanks so much for dropping by today to see who we have chosen for the winners of our July challenge Captured Memories. 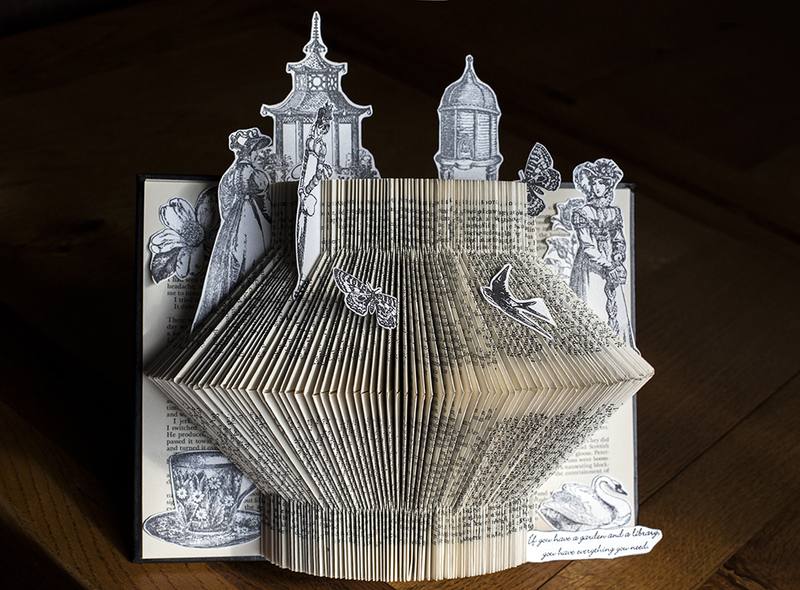 We had 51 sensational entries into our challenge, each and every one special in its own way. We were so inspired by your work and we do thank you most sincerely for playing along with our challenge! It's always a challenge for us to pick a winner, visiting blogs numerous times in an effort to narrow down the field of favorites. Having gone through that process with the July entries, we have now come up with our overall winner and top three favorites. 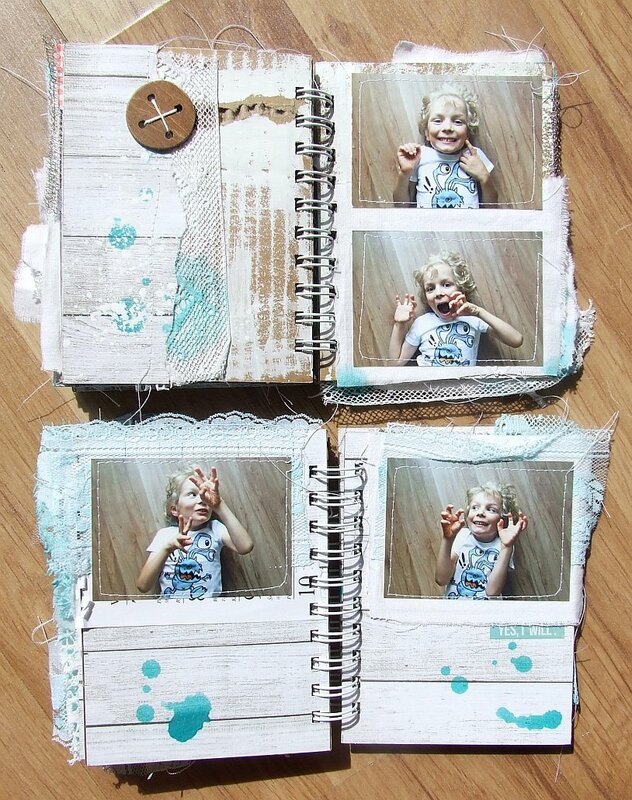 Susan's entry is an altered book. I really love how she treated the cover and what a wonderful photograph she used on it. 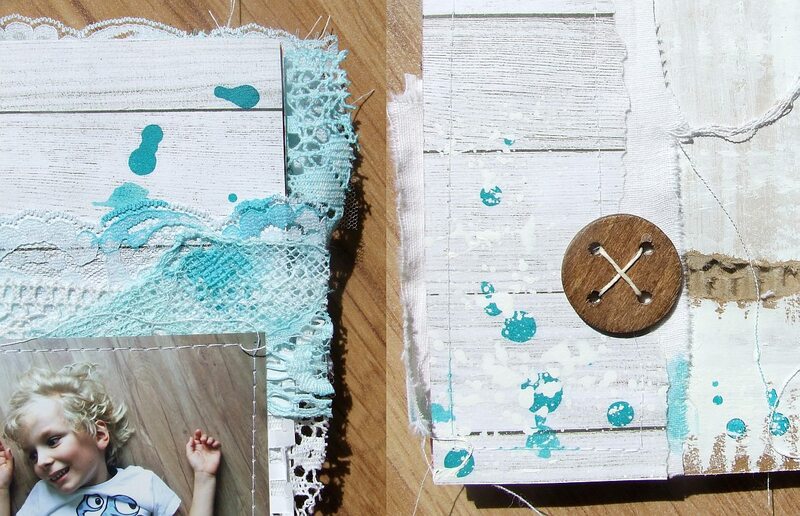 Such beautiful vintage hues and fabulous texture! 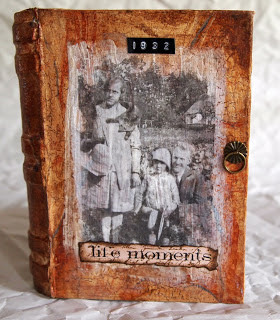 Just look at the memories she has captured inside. Such a sweet little basket and picket fence. 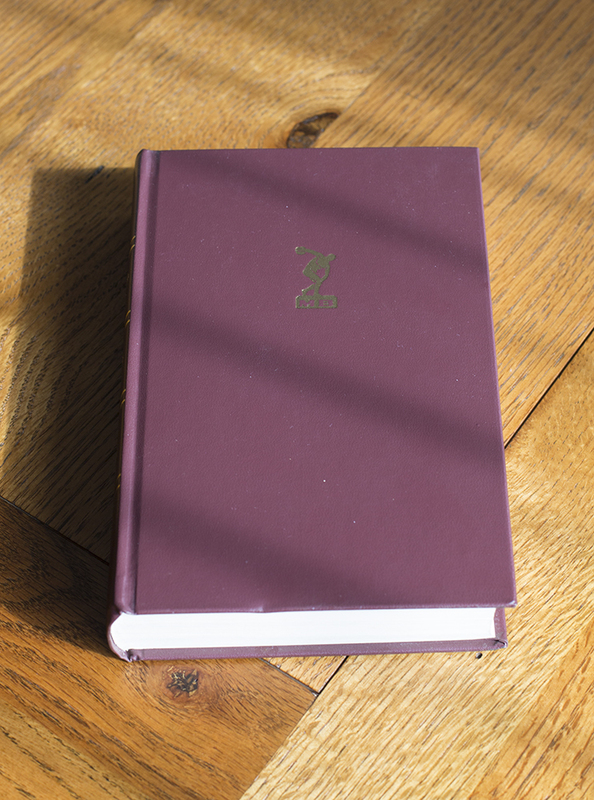 And the back cover is equally as wonderful. Great work, Susan, and a huge congratulations on being our July winner. We will look forward to getting to know you better in an upcoming Top Talent feature post. 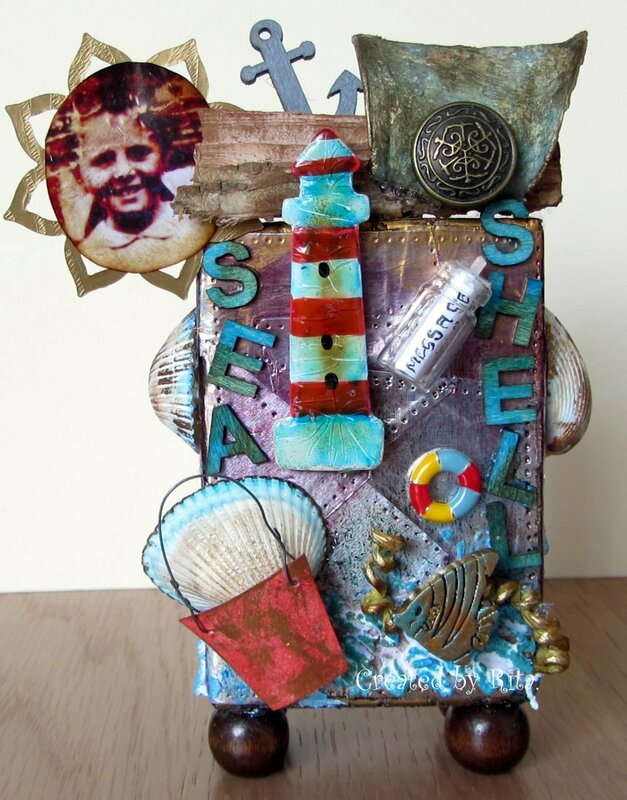 Rita created a chunky ATC just loaded with seaside goodies reminiscent of her childhood visits to the sea. 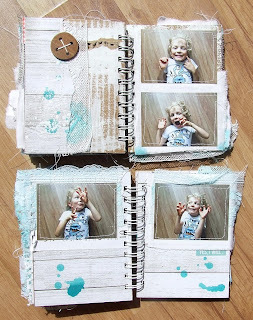 How wonderful that she included a photo of her brother as a child. 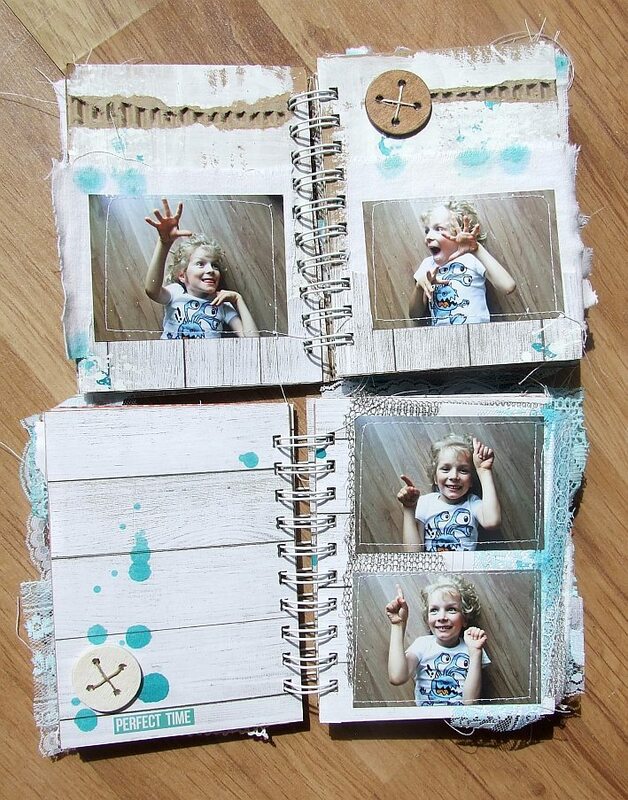 What an awesome way to capture and display such fond memories! 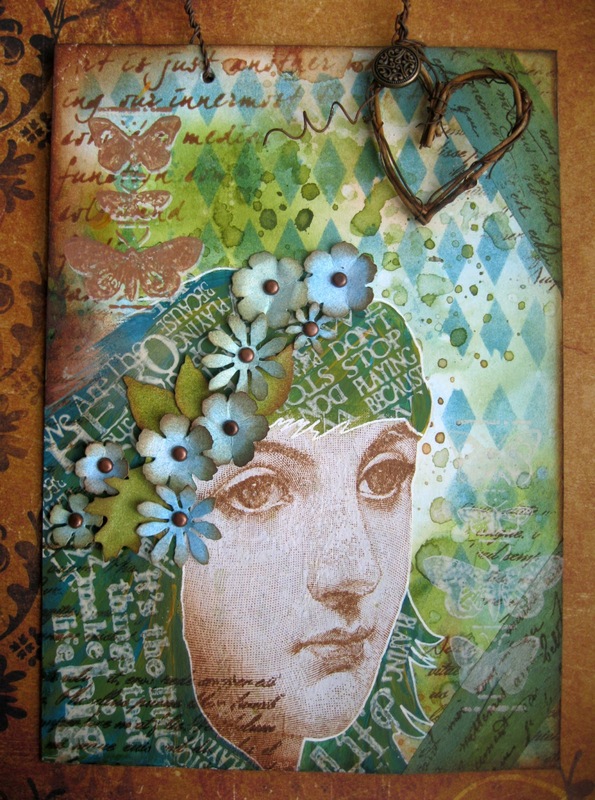 I just loved the shabby chic style beauty of this card that Julie Ann created as a 45th anniversary card. 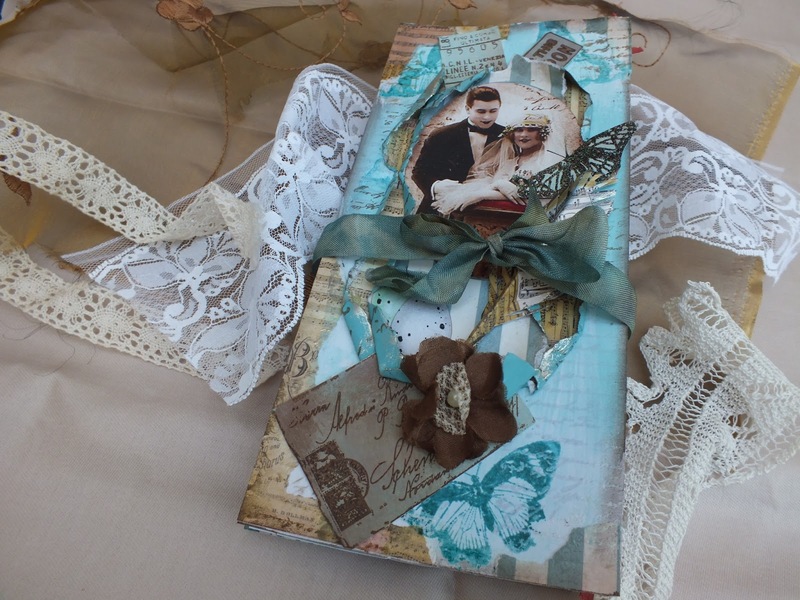 Such beautiful colors and laces and wonderful vintage photographs on the outside and when you peek inside it's personalized with a photo of the anniversary couple. I can just imagine the delight with which this card was received. 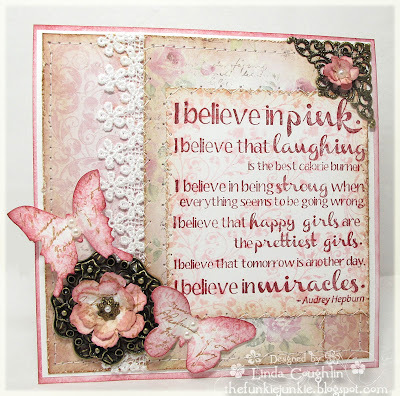 Yvonne has created a wonderful vintage style card with a lovely stamped, stenciled and tinted background. 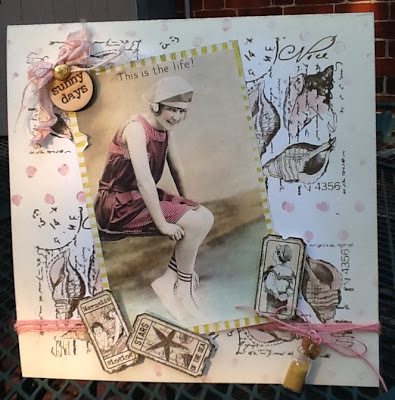 I love that sweet vintage photograph she has included and the charming seaside theme of the card. The tiny bottle of sand is such a fun embellishment! Congratulations to all of our July winners. Please feel free to grab your respective badge from our sidebar to display on your blog. And another huge thank you to all who joined in our challenge. We are so grateful for your participation! Don't forget, we have our August Words, Words, Words challenge running through August 28th. We hope you will play along with us again this month. And don't forget to stop by on August 15th to get your second dose of inspiration for this challenge as the other half of our team will post their samples on that date. Hello everyone, it's Alison (butterfly) here, with the August Challenge Theme. And I don't suppose it's much surprise to anyone that my challenge to you is to focus on Words, Words, Words! So, without more ado, here are the amazing inspirational works from my team-mates to kick you off, and I'll be back with the rest of the team on the 15th to give you a further nudge. Alison's "Words" challenge was the perfect occasion for me to create a board that is both: a memory of a wonderful holiday on Paradise Island in the Caribbean AND a tribute to one of my favourite songs: "The Sea" from Morcheeba. I quoted the refrain and I love that I felt exactly that way: free and with my soul opened wide. The corals and shells on the project are from my long morning walks on the (empty) beach - just me and the sea. 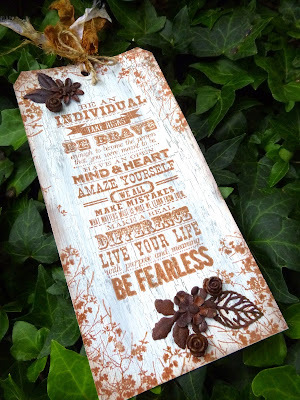 I love adding words to art...so I went for everything on this creation - stencils, quote stamps and script stamps. This started out as just a bit of playing with wrinkle free distress and turned into the project for this challenge and it was so much fun! into this rather more lovely Jane Austen art work! You know you want to find out how to do it, so hop on over to my blog for all the details. See you there. This wasn't the plan!! How many times does the thing in your head end up 'on the cutting room floor'?! But in its place came a flash of inspiration, ideas from those I admire and a middle son who plans to be an author. Of course a card for him had to involve words and some of the tools needed to write them. The winner and Top 3 from this challenge will be announced on the 8th September. 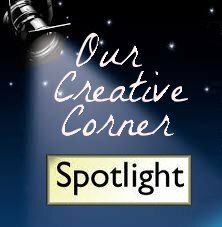 The winner will be invited to appear as 'The Top Talent' here at OCC, have a short interview so we can find out all about them and there will be a 'Spotlight' on a new project they have created. This will take place on October 22nd. Remember, Linda will be back on the August 8th to announce the winner of the 'Captured Memories' challenge, and on August 15th the rest of the Design Team will showcase their creations for this month's challenge. This challenge is open until 11:55 pm Wednesday, August 28th. Thanks for visiting. Can't wait to see what Words, Words, Words you come up with!